I'm Sorry Teddy Bear - 18"
The apologetic look on this face says it all, “I’m Sorry”. 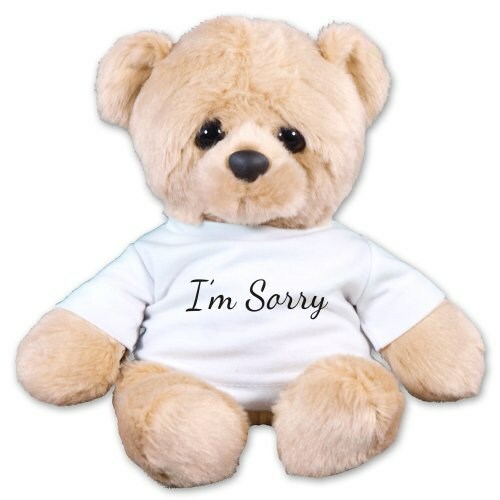 This apology design is available on our 18” Woe Bear. Woe is a loving, soft and super cuddly bear. Not only is he made of super-soft plush, he also makes an excellent hugging pal. Free gift wrapping and a free gift card are included to create a thoughtful presentation.